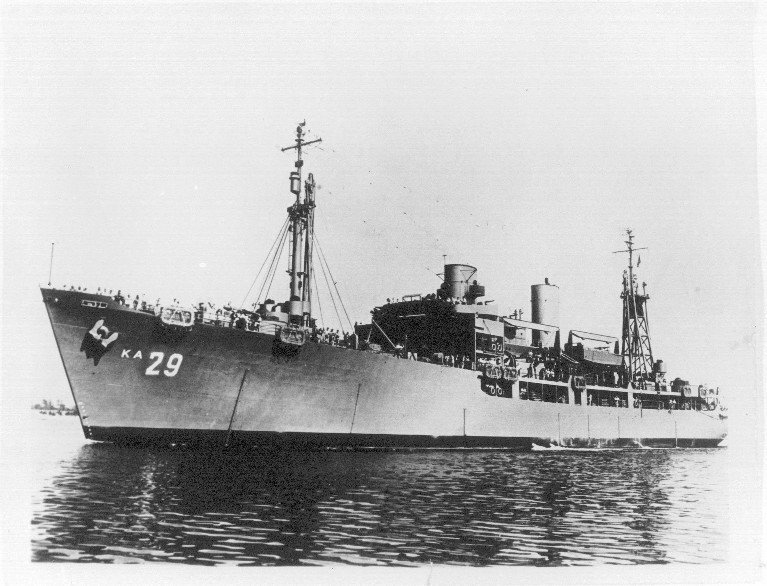 Laid down, 5 July 1944, as a Maritime Commission type (S4-SE2-BE1) hull, under Maritime Commission contract (MC hull 1890) at Welsh-Kaiser Co. Providence, R.I. Completed and delivered to the Maritime Commission, 19 December 1944, at Providence, R.I.
Decommissioned, 25 March 1946, at Norfolk VA. Transferred to the Maritime Commission, 30 June 1946, for lay up in the National Defense Reserve Fleet, James River Group, Lee Hall, VA.